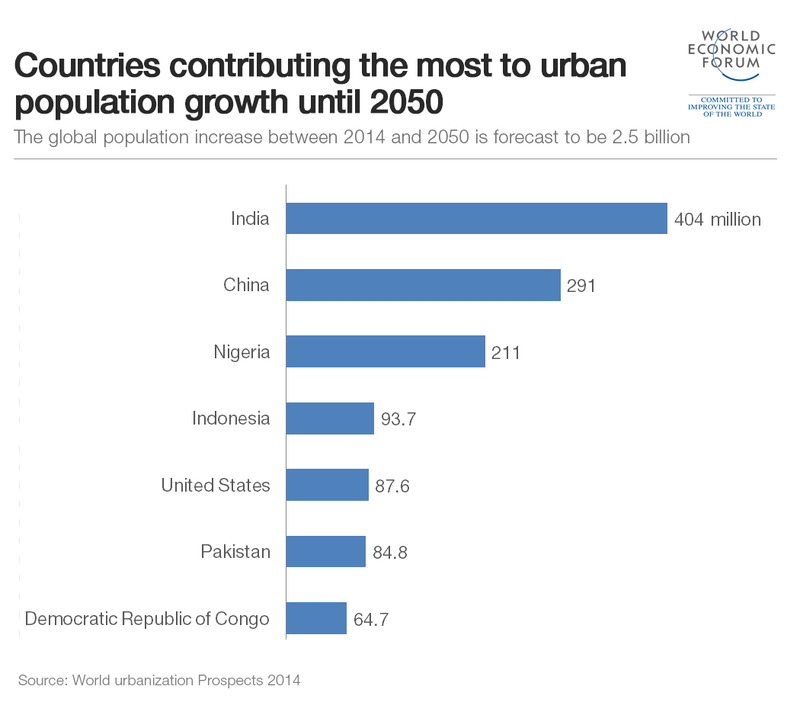 The UN estimates that 55% of the global population lives in urban areas – a figure that is projected to rise to 68% by 2050. With few exceptions, cities are expected to become bigger and more numerous. Rapid urbanization, which strains basic infrastructure, coupled with more frequent and extreme weather events linked to global climate change is exacerbating the impact of environmental threats. Common environmental threats include flooding, tropical cyclones (to which coastal cities are particularly vulnerable), heat waves and epidemics. Owing to the physical and population density of cities, such threats often result in both devastating financial loss and deaths. Making cities more resilient against these environmental threats is one of the biggest challenges faced by city authorities and requires urgent attention. Cities need resources such as water, food and energy to be viable. Urban sprawl reduces available water catchment areas, agricultural lands and increases demand for energy. While better application of technology can boost agricultural productivity and ensure more efficient transmission of electricity, many cities will continue to struggle to provide these resources to an ever-growing urban population. Beyond these basic requirements, haphazard growth will see the reduction of green spaces within cities, negatively affecting liveability. As fresh water becomes scarce and fertile lands diminish, food prices may escalate, hitting the poorest hardest. When it comes to both the provision of basic resources and resilience against environmental threats, the forecast is uneven for different groups of urban inhabitants. As the number of urban super-rich grows, many cities will also see increased numbers of urban poor. The widening gap between the haves and have-nots will be accentuated in the megacities of the future. Such inequalities, when left unchecked, will destabilize society and upend any benefits of urban development. There is a critical need for policy-makers to ensure that the fruits of progress are shared equitably. Technology will be increasingly used in the development and running of cities of the future. Smart planning used in Singapore can harness solar energy for use in housing estates and create man-made wetlands for ecological balance. Smart mobility technology can alleviate traffic gridlocks which plague many cities. The use of environmental technologies which can cool buildings more efficiently or run vehicles that are less polluting will also lead to better future cities. Installing sensors in the homes of ageing seniors living alone can connect them to the community and summon help when they are unwell or hurt. However, technology can exclude urban inhabitants who cannot afford it or lack the capability required for its adoption. As future cities become more digitized, care must be exercised to prevent the emergence of a new form of social divide rooted in the technological. Future cities offer immense possibilities to enrich the lives of their inhabitants even as the challenges are stark. To make the best out of inevitable urbanization, good governance is imperative. Cities will increase in size and their populations become more diverse. Governing these cities will, therefore, be progressively complex and require the most dedicated of minds. Increasingly, cities around the world are learning about the best governance and planning practices from one another, even as they remain accountable to their respective national governments. The broad goals of urban governance should address issues of equity, liveability and sustainability in cities of the future.